Peter Kujawski has been promoted from evp of worldwide acquisitions at Universal Pictures to the new role of managing director of Universal Pictures International Productions. Kujawski will oversee teams in Los Angeles and London and assumes oversight of expanding the studio’s international footprint through local production, financing partnerships and acquisitions in emerging markets. He will continue to acquire English-language films for the studio on a worldwide basis and liaise with stablemates Focus Features, Universal Pictures International Entertainment and the NBCU International Television Distribution group. The widely admired executive played a key role in acquiring select territories on Boyhood and has also made prescient calls on Zero Dark Thirty and The Wolf Of Wall Street. The move comes several months after a restructure at the studio’s international operations led to the departure of head of international David Kosse, who has since taken the top job at Film4. 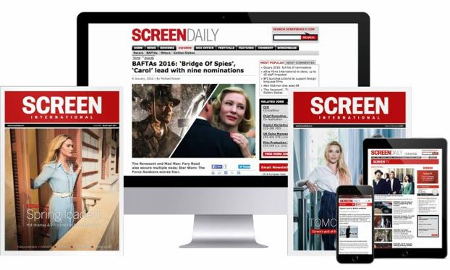 Screendaily understands a replacement for Kosse will be announced in due course. “The international theatrical production and acquisition space is an incredibly important growth area for Universal and Peter is the right person to lead our efforts,” said Universal Pictures chairman Donna Langley, to whom Kujawski will report. Kujawski began his career at Good Machine as an assistant to co-founder and co-president James Schamus. When Good Machine was absorbed into Focus Features in the spring of 2002, Kujawski joined Focus and climbed to evp of international sales. He joined Universal in 2011 as evp of worldwide acquisitions.